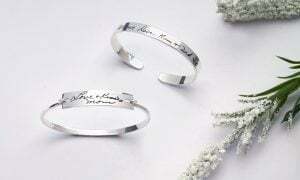 Fingerprint jewelry is one of the most unique and meaningful personalized jewelry around. 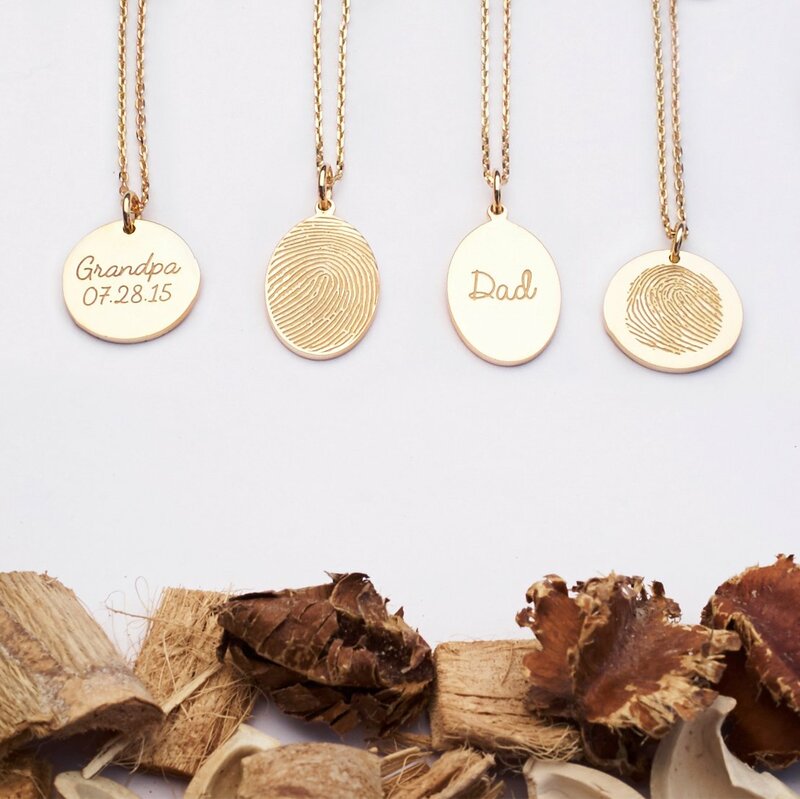 Many people love fingerprint items as memorial jewelry to remember a loved one. 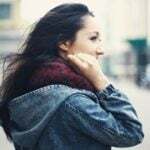 However, customers often come to us with questions about where they can obtain fingerprints of someone who has passed away, or how they can take good, usable fingerprints of the living. 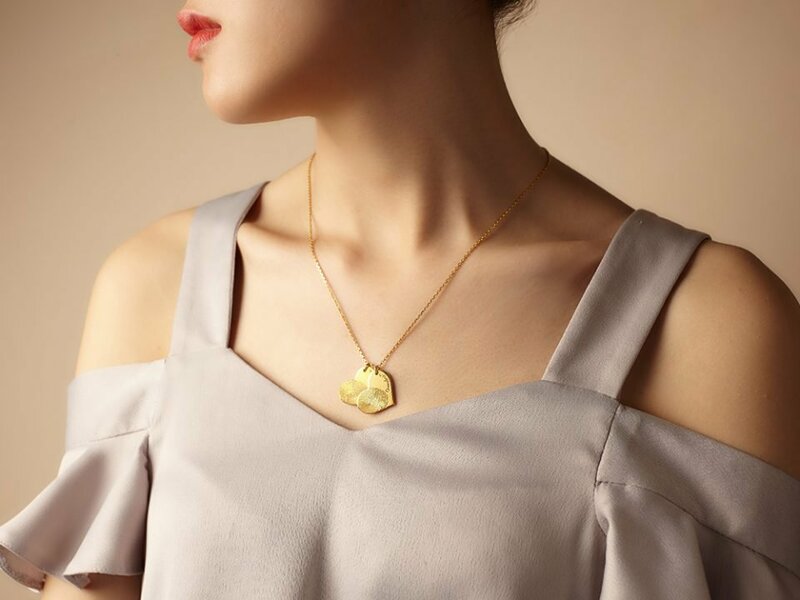 This comprehensive guide will walk you step-by step to obtain the most accurate fingerprints for your piece of keepsake. You might not know it, but it’s likely that you already own or have access to the fingerprints you need. 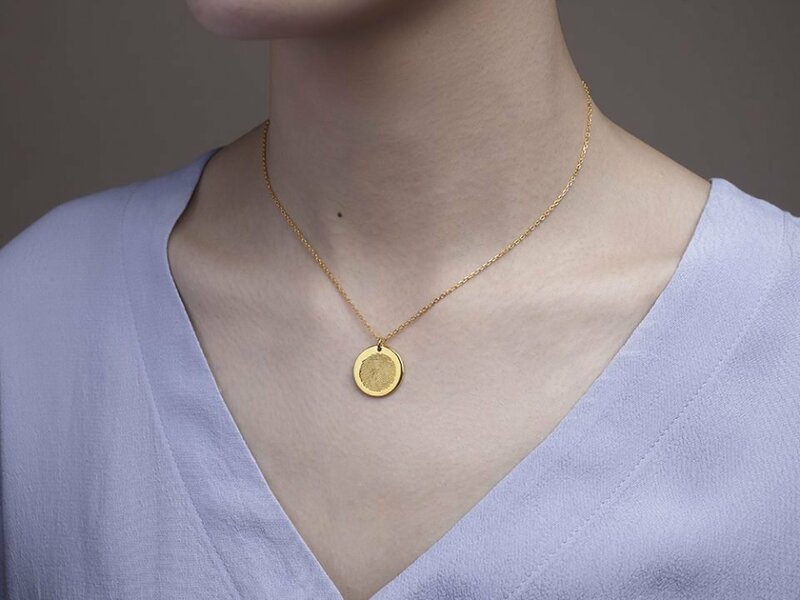 This is especially significant for people who would love a fingerprint memorial jewelry piece of someone who has passed away. 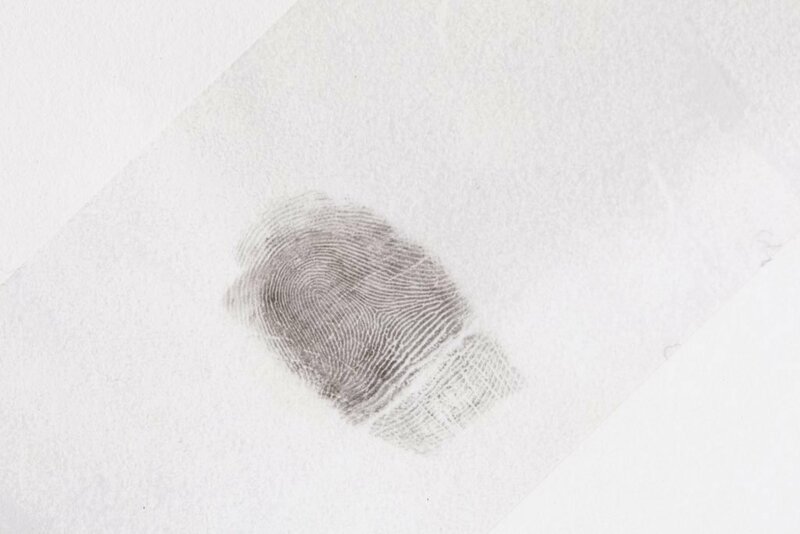 – For people who have passed away: Most funeral homes take fingerprints of those who have passed away. 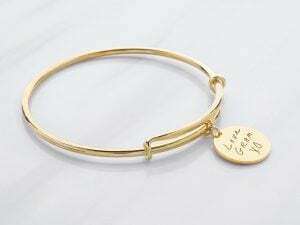 Check with them – they are often more than willing to help you create a memento of someone you love. – For millitary men who were killed or missing in action: All soldiers have their fingerprints taken in millitary service – do check their paperwork or ask the millitary office where they are registered with. – For babies: Many hospitals take baby’s footprints or handprints as means of identification. Some even send you home with a print-out of it. Check with the hospital if they keep a record of it. For those who could take fresh prints, the guide below will help you to take your own fingerprint or your baby’s handprint or footprint. 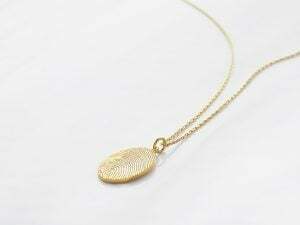 When jewelry is made from a fingerprint, we can only make it as good as the fingerprint sample you give us, so you will want to capture a nice clear print. Step 2: With a soft pencil, fill in a large patch on the white paper. Layer on the patch with the pencil again and again to get a fair bit of graphite on the paper. Step 3: Place your finger over the dark batch to get graphite on your finger. 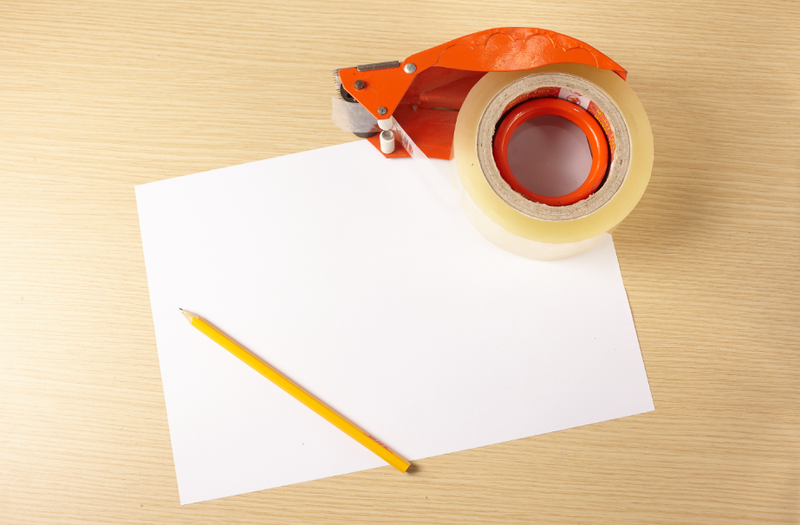 *If you do not have clear tape, you can always just press your finger on the white paper and take photo of that. However, take note that you should tap lightly, and try hard not to shift your finger. If you shift your finger when it’s pressed down, it will caused your fingerprint to be smudged and unusable. 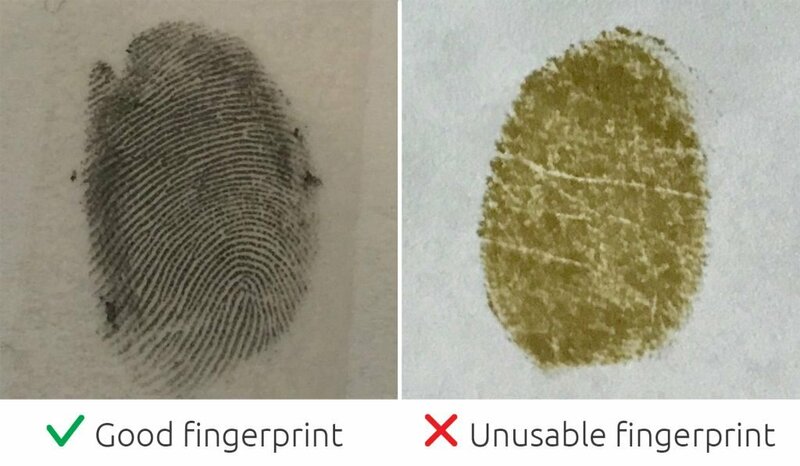 A good fingerprint will have clear, defined lines and no blurry patch. 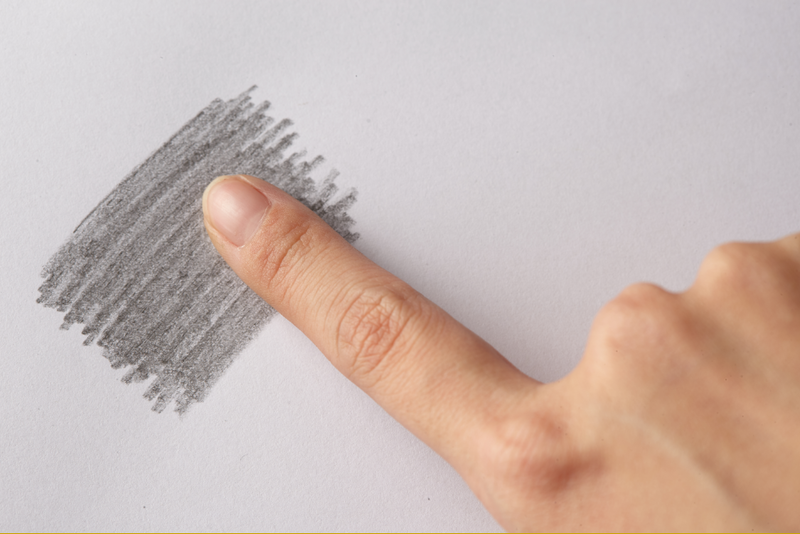 Try making lighter fingerprints by taking several prints without refreshing the graphite on your finger. 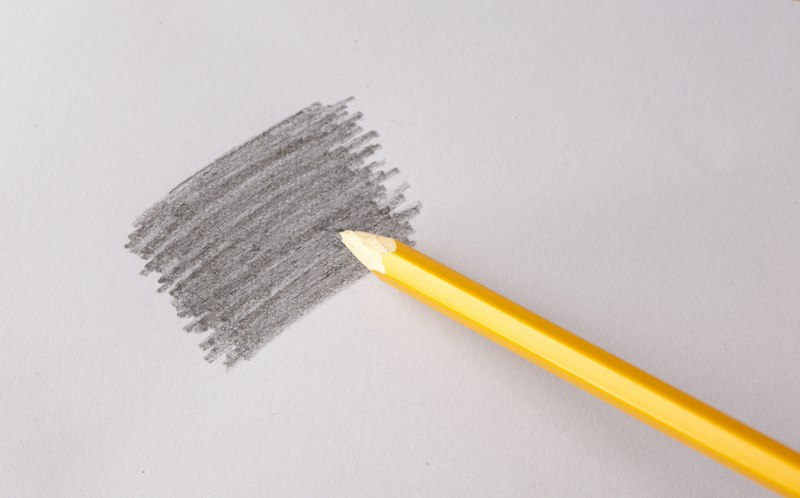 The first few darker ones will often have smudges from the excess graphite. **Take as many fingerprints as you can using different fingers as they will have different patterns. 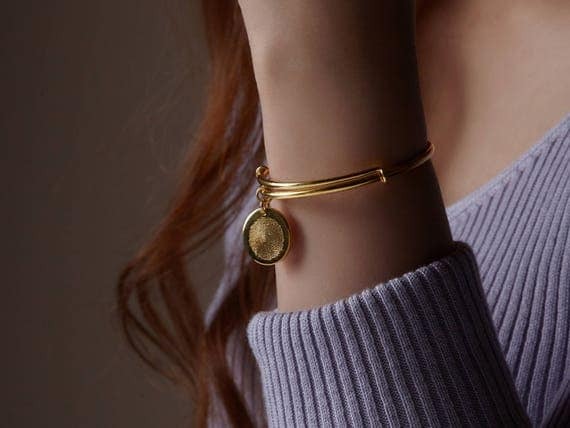 Some patterns may be more suitable for thumbprint jewelry, or look better on a necklace vs a bracelet vs a ring. 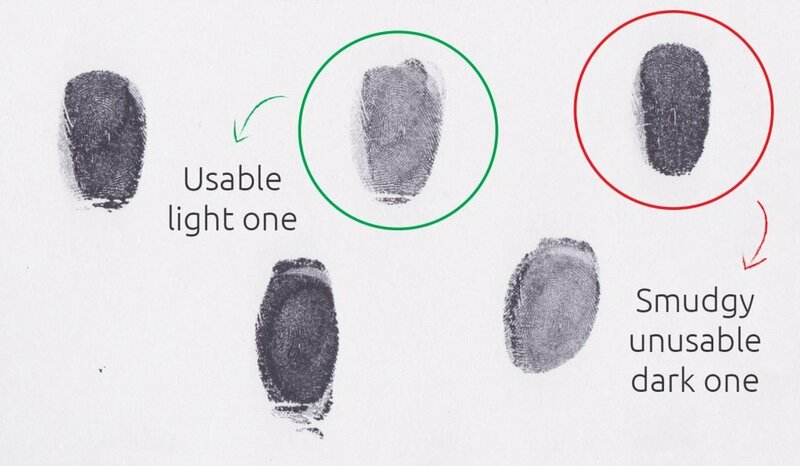 If you want the most accuracy in taking your thumbprint, or have a lot of fingerprints to take (from many family members or young ones for a thumbprint gift, for example) you might want to consider getting an inkless fingerprint pad. 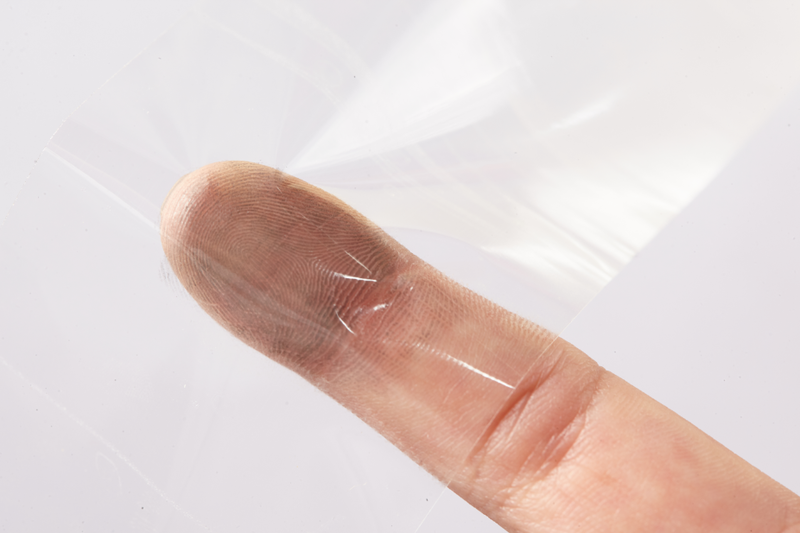 Fingerprint inkless pad is about the best way to take fingerprints, giving out perfectly clear fingerprints. It does not leave smudges, the ink dries instantly on paper and washes right off from your fingers. 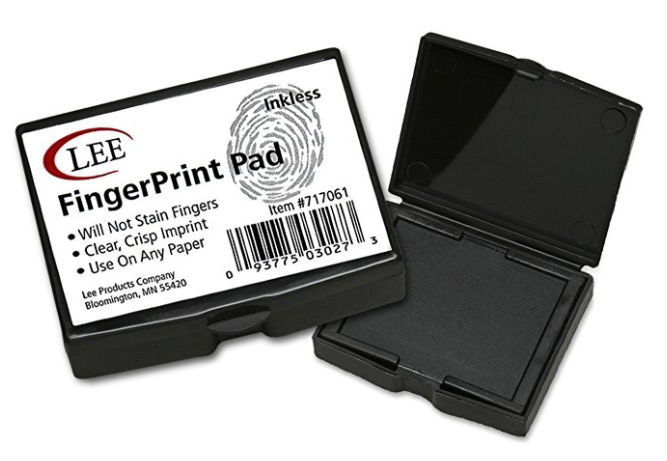 Inkless thumbprint pad is widely used in banks and offices where accuracy is needed. If you are taking prints of young children, rest assured that the ink of an inkless pad is non-toxic. However, you should still make sure they don’t put their inked fingers in their eyes or their mouth to avoid any allergic reaction. 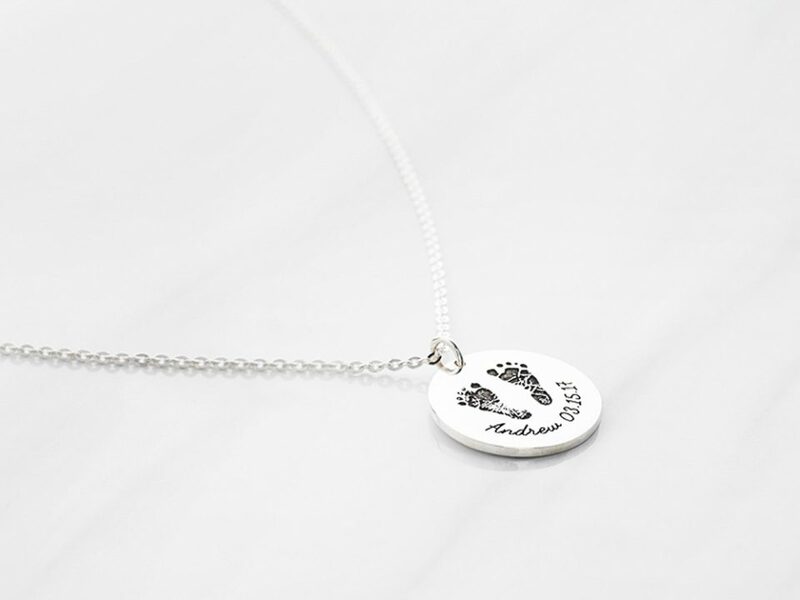 A necklace with baby’s footprint or handprint is a great present for a new mom. Taking his or her prints, though, could sound like an intimidating job. It really doesn’t have to be! The inkless pads we mentioned above is a great choice to consider. If you want to DIY it, any water-based kids’ paint or food colorings work just as well. I have heard that fabric paint is non-toxic too, but you might want to read the bottle carefully to make sure it is. You will have a much easier time getting the perfect print. Make sure to get to every nook and cranny of those toes. 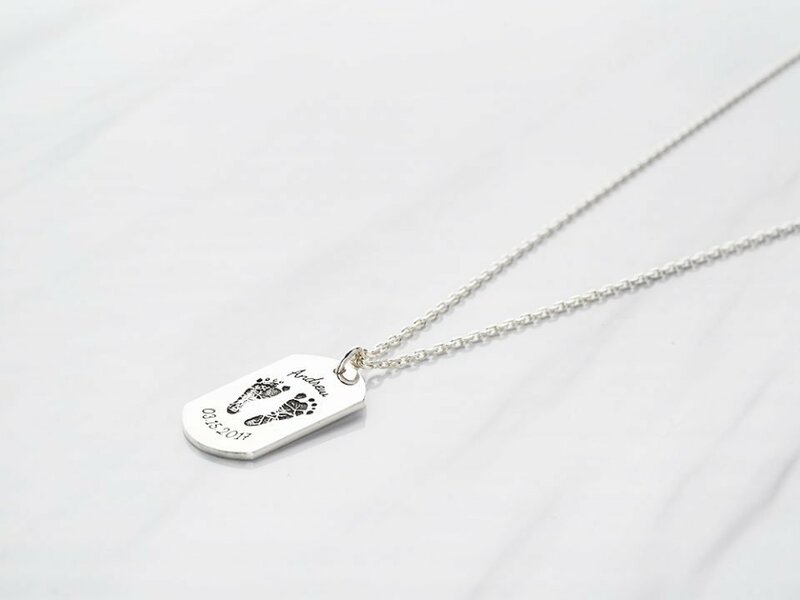 I recommend getting the baby’s footprint instead of handprint, as baby tends to curl their fingers a lot, and getting a handprint might be a difficult task. When you are holding the baby’s foot, make sure to give it a little shake so that their muscle relax instead of curl up, causing you to miss out a toe! Hit the paper with the heel of the foot, or the bottom of the palm first as you roll to the tip of the toes or fingers. Quickly remove the foot or hand so that it doesn’t smudge. And voi-la! 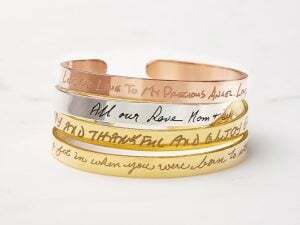 You have completed the first step in getting a great mommy keepsake jewelry piece! 1. 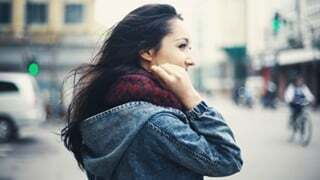 Take your picture in good light. Place the prints next to a window or a bright lamp helps to reduce shadowing across the prints. 2. 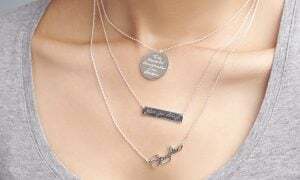 Take a bird’s eye view of the prints, making sure that your camera is parallel to the print. 3. 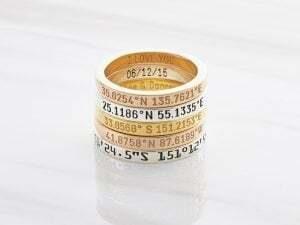 Make sure the print is in focus so the jewelers can get as much details as possible out of the print. 4. 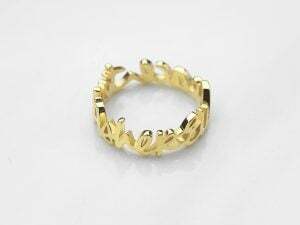 Take a couple if needed and send the fingerprint photos to the jeweler via email. 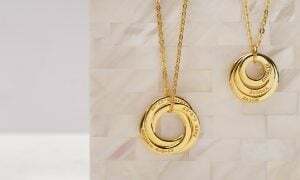 Infinity Symbol Meaning - What Does Infinity Mean?